Some 800 women die every day in Africa or Asia in childbirth. For each woman who dies, a family is shattered. Surviving children are deprived of a mother's care and put at risk. Communities suffer. These deaths represent the ultimate failure of maternal health care. The toll is more than 300,000 women lost each year from treatable causes: severe bleeding, infections, hypertensive disorders, obstructed labour or complications from unsafe abortion. The two million or more women who await fistula repair were very nearly part of this grim statistic. They survived the physical and emotional trauma of obstructed labour to become living reminders of health system failures. All too often, however, these women have been hidden away and forgotten. By working to prevent fistula, the global Campaign to End Fistula aims to reduce the ongoing tragedy of maternal death and injury. The experiences of women who narrowly survived traumatic deliveries help us understand what is wrong with health services and impart urgency to the challenge of preventing this tragedy from recurring. One of the highlights of the Women Deliver Conference in Washington D.C., held in June 2010, was the meeting between Her Royal Highness Crown Princess Mary of Denmark, and two fistula survivors and advocates: Sarah Omega, from Kenya, and Ms. Awatif Altayib, from West Darfur, Sudan. The Crown Princess, a patron of UNFPA, was deeply moved by their stories. It was an important opportunity for me to learn more about the maternal health challenges that persist in developing countries. Sarah and Awatif lent a face to all women who have suffered due to the lack of access to skilled attendants during pregnancy and childbirth. This is something developed nations take for granted but is still very much a luxury in many countries in the developing world,” said the Crown Princess of Denmark. As a Spokesperson for the UNFPA-led Campaign to End Fistula and an Ambassador for Virgin Unite, Natalie Imbruglia —singer/actress— is helping to raise awareness and funds for this little-known childbearing condition. Imbruglia first heard about fistula while speaking to Richard Branson, CEO of the Virgin Group, a charitable organization supporting the campaign. In January 2005, she visited fistula hospitals in Ethiopia and Nigeria with representatives from UNFPA and Virgin Unite. Deeply moved, she felt compelled to act and remains involved in the fight against fistula. "For some people, fistula is a difficult issue to talk about. But that discomfort pales in comparison to what women living with fistula face every day," Imbruglia says. "I don't want to be part of the silence. I want to do everything I can to make a difference in these women's lives." As the founder of Every Mother Counts, maternal health advocate Christy Turlington Burns became increasingly aware of major causes of ill maternal health during her many missions abroad. At clinics supported by UNFPA, she met women receiving quality health care that could potentially transform their lives. She has raised her voice against discrimination and inequality, mobilizing communities and decision makers to make the world a better place for women and girls, a place in which they can make voluntary and informed choices about their own reproductive health. During her mission to Bangladesh in 2011, she visited and filmed at the fistula hospital supported by UNFPA in the capital. She also created an educational module on obstetric fistula, which features the UNFPA program at the Dhaka Medical College to help women who suffered from fistula get back on their feet. Portuguese television celebrity and UNFPA Goodwill Ambassador, Ms. Catarina Furtado was deeply moved by the stories of fistula suduring her recent visit to a fistula ward in Mansoa, a major city in the Oio region, 55 km from the capital, Bissau. Ms. Furtado is committed to help reducing maternal mortality and morbidities like obstetric fistula, which in turn is bringing hope and dignity back to many women in Africa. In 2003, UNFPA and its partners launched a global Campaign to End Fistula in line with international targets to improve maternal health and with the goal of reducing the number of obstetric fistula patients, especially in developing countries. In recent years, the Campaign has drawn the attention of policymakers, health officials, affected communities and individuals, as well as the general public to the issue of fistula. The Campaign has made remarkable progress but the needs are great. Ending fistula worldwide will demand political interventions, additional resources, and strengthened collaboration between governments, partners and the civil society. The most effective way to prevent fistula is to increase access to quality maternal health care services including family planning, skilled birth attendants and emergency obstetric care. Prevention also entails tackling underlying social and economic inequities to empower women and girls, enhance their life opportunities, and delay marriage as well as pregnancy. While prevention is our focus, there is a strong commitment to treating patients. The average cost of fistula treatment—including surgery, post-operative care and rehabilitation support—is $400. The Campaign supports all areas of treatment, from training doctors in fistula surgery to equipping and upgrading fistula centres. 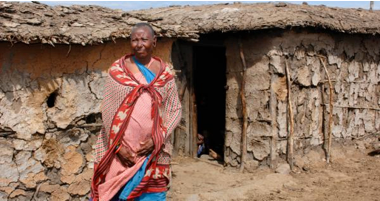 Fistula treatment goes beyond repairing the hole in a woman’s tissue. Many patients—especially those who have lived with the condition for years—will need emotional, economic and social support to fully recover from their ordeal. Through the Campaign, women receive counselling and skills training to empower them after surgery. Working with communities is also key because it ensures women are accepted back into society without being stigmatized. The world’s population topped 7 billion in October 2011. This unique moment in human history represented both an opportunity and a challenge, and is having an impact on every single person on the planet. Obstetric fistula is one of the most devastating consequences of unequal access to health care during pregnancy and childbirth. Its persistence is a sure signal that health systems in many low-income countries are failing to meet the needs of women, a challenge that will be more and more difficult to address as the population grows. A world of 7 billion people has implications for sustainability, access to health services and youth empowerment. However, it also offers a rare opportunity to renew global commitment for a healthy and sustainable world. Tell us how you are making a difference to End Fistula. Share on Facebook and Twitter or learn how to get involved. Lend your voice: Inform your elected officials about fistula and the importance of safe motherhood or write a "letter to the editor" about fistula to your local newspaper. Dine out: Partner with a local restaurant to donate a portion of one night's profits to the Campaign. Clean your house: Hold a garage sale or auction off items on the Internet, with proceeds directed to the Campaign. Talk to your boss: Encourage your company to support the Campaign. Campaign on campus: Raise awareness of this issue on your university or school through video screenings and fundraising events. Give a gift: Ask friends and family to give to the Campaign in lieu of holiday or birthday gifts. We would love to hear from you! Send us your stories, and we will post them on our web site. For more information on how to get involved, contact us at fistulacampaign@unfpa.org. The Campaign to End Fistula lives from the commitement of its partners and people engaged to fight this dreadful condition. Send us your story, and we will post it on our website. Don't forget to provide some good photos with a caption and credits. When writing about fistula survivors, the following guidelines should help you portray them. Fistula survivors are women who experienced prolonged, obstructed labour and developed obstetric fistula. When portraying obstetric fistula survivors and advocates, it is crucial to highlight the links between obstetric fistula and maternal health in general, helping empower, not victimize them.